That Fashion Chick: Spanx makes Sara Blakely a Billionaire!?!! Spanx makes Sara Blakely a Billionaire!?!! I'm all for motivational and inspirational stories, especially within the fashion industry. This story is a must see for all entrepreneurs on the rise! We all know about Spanx right. I'm sure your mom has a few, even your favorite woman celebrity wears them as a red carpet essential. Spanx is the popular under-garment shapewear among woman, that gives the illusion of a darn near perfect body when worn. 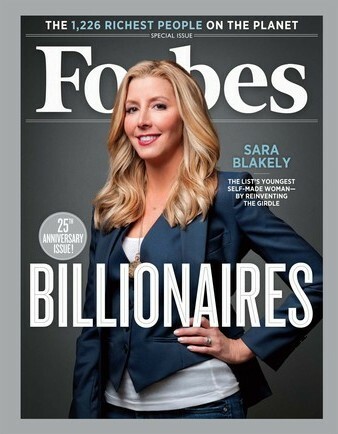 This turned out to be an excellent invention because Forbes just recognized Sara Blakely as one of the youngest billionaires in the world! That is a GIGANTIC accomplishment in such a short amount of time.